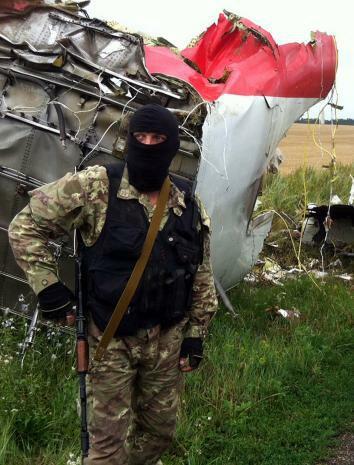 MH17 Investigation: Tampering with crash site can't hide SA-11 Buk missile evidence. A plane shot down with a surface-to-air missile should bear plenty of evidence of the crime. Rarely has a major commercial plane-crash investigation been as blatantly compromised as that of Malaysia Airlines Flight 17. According to various reports, the plane’s wreckage has been tampered with. Bodies have been moved. And gun-wielding separatists have blocked investigators from the scene. That’s all in stark contrast to what is supposed to happen when a commercial jetliner goes down. There’s a reason these things are important, explains James Hall of Hall & Associates, who chaired the U.S. National Transportation Safety Board from 1994 to 2001. “You never know what information may or may not be useful” in ascertaining the cause of a crash. For instance, when TWA Flight 800 went down off of Long Island in 1996, investigators spent the better part of a year recovering nearly the whole plane from the ocean. Then they reconstructed it to prove that it had not been taken down by a rocket or missile. In that process, Hall says, “almost every piece of the aircraft was important to the final conclusion.” The final NTSB report, published four years after the crash, identified an explosion in a fuel tank as the likely cause. With MH17, such a detailed reconstruction will be impossible. Yet that doesn’t mean the investigation is doomed if it’s handled properly from here on out, Hall and other experts told me. It turns out that taking a plane down with a surface-to-air missile tends to leave a lot of evidence—probably too much for even a determined band of tamperers to hide. Pro-Russia militants initially blocked access to the scene. 2. 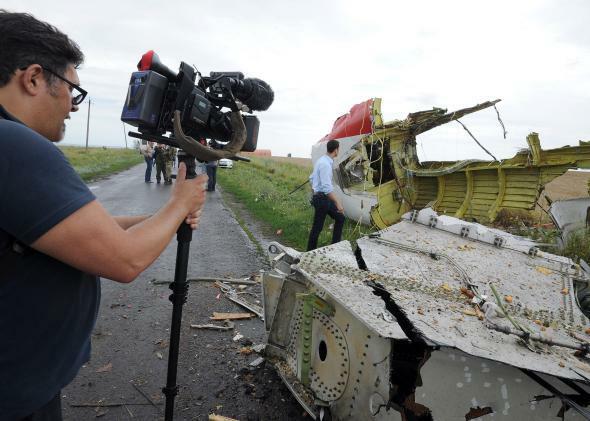 Signs of shrapnel in the plane wreckage: Surface-to-air missiles like the “Buk” SA-11 typically don’t hit their targets directly, aviation expert Robert W. Mann told me. Instead, they track them by radar and then blow up when they’re in close proximity to the plane, sending shrapnel in multiple directions. That should leave holes, pockmarks, and shredding in the fuselage that bear the weapon’s imprint. And, in fact, the New York Times’ C.J. Chivers reported Tuesday that photographs of the downed plane show just these sorts of markings. “Most of the smaller holes look to be caused by a high-velocity projectile, as opposed to simple shearing or tearing caused by the forceful separation of the panel from the airframe,” an analyst at IHS Jane’s told the Times. 3. Signs of shrapnel on the victims’ bodies: Shrapnel that penetrates the plane could end up hitting the passengers, potentially either lodging inside them or leaving entry and exit wounds. 4. Residue from the explosion itself: If a warhead exploded in close enough proximity to the plane, it should leave tiny bits of chemical residue that would help confirm the nature of the weapon. 5. Military satellite imagery: The Russian Defense Ministry has said that there was an American satellite flying over eastern Ukraine at the time of the crash, and it has called on the U.S. government to release the relevant imagery. The U.S. may be reluctant to do that. But it could well be the basis for the conclusions the Obama administration has already drawn as to the cause of the crash. And it has the advantage of not being able to be tainted by any tampering at the scene. It’s a shame that the messy aftermath of the Flight 17 crash will prevent the sort of meticulous investigation that this sort of tragedy deserves. And the victims’ families are justifiably outraged at the mistreatment of the bodies. The only good news is that, if a missile really did take the plane out of the sky, it would have been extremely difficult for anyone tampering with the scene to remove all the smoking guns. The best they could hope for, it seems, is a veneer of plausible deniability should the remaining evidence point in their direction.